If you have children and you’re going through a divorce, you will need arrange their care and think about how they are going to spend meaningful time with each of you. These issues are formally referred to as child custody. At the end of the divorce process, a judge will sign your Judgment of Divorce. The custody arrangement (which is usually part of your Property Settlement Agreement) will then be incorporated into the Judgment and become a legally binding document. In mediation, we spend ample time with you structuring your custody arrangement and parenting plan so your family is equipped to flourish well after the divorce. Both New York and New Jersey have two different types of custody — legal custody and residential custody. 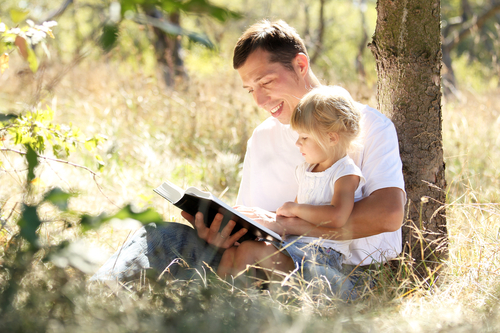 Legal custody relates to decision-making authority on behalf of the children. It covers major decisions such as choice of college or proceeding with elective, non-emergent medical intervention (elective surgeries or courses of medication where reasonable minds could differ). Joint custody agreements can outline joint custody concerning legal custody, residential custody, or both. Joint custody agreements are generally the rule of thumb for today’s divorcing couples. 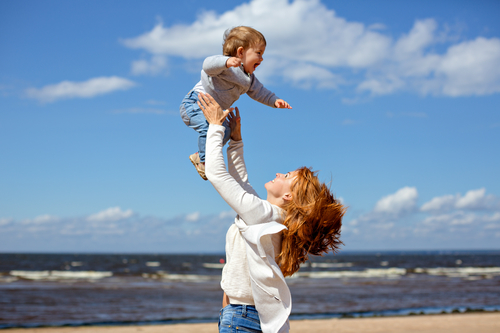 Gone are the days when one parent has sole custody and the other only visitation rights. Contrary to the 1980s and 1990s, courts today generally agree that ample, regular access to both parents is critical for optimal development in children. Most divorcing couples have joint legal custody of their child or children. This means both parents have joint decision making authority for their children, regardless of which residence the child lives in. This type of custody is different from joint residential custody, which governs where and with whom your child lives. 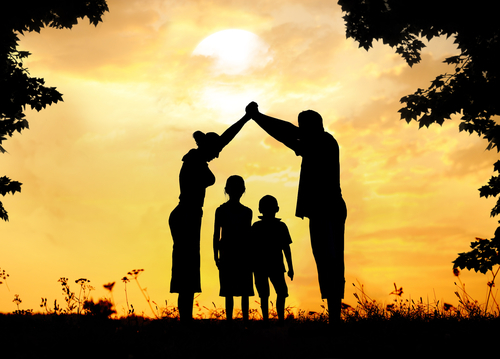 It is possible to have both joint legal and joint residential custody. Joint legal custody applies to shared authority in making major decisions affecting your children’s health, schooling, and well being. However, depending on the terms of your joint custody agreement, you may choose to specify particular items necessitating mutual input and agreement. Extracurricular involvement and academic tutoring are typically issues to which both parents wish to agree. Some agreements only delineate major issues for which both parents have decision-making authority, such as non-mandatory surgery, higher education, or religious education. Mundane, day-to-day decisions such as “What’s for lunch?” belong with the parent who has custody of the child at that particular time. By way of contrast, a child getting a nose job (or nose ring) would be subject to joint decision making. For shared custody to work, parents must be able to communicate and problem solve effectively and respectfully. This is something mediation sets in motion and that the adversarial process often sabotages. Forward-thinking parents manage their relationship and communication with one another during their divorce so that post-divorce parenting is optimal. When children divide time between the residences of both parents, either equally or substantially equally, the arrangement is considered to be joint residential or joint physical custody. Residential custody is based upon fact. If the children live with you for 330 out of 365 days each year, you are the residential custodian. In New Jersey, for joint custody to apply, a parent must have overnight visitation with the children at least 28% of the time (not including vacations). There are certain requirements for adequate household income that also must be met for this type of custody to apply. Joint custody can apply even when one parent has overnights with the children ⅓ of the time; however, the parent who has the children ⅔ of the time will be the Parent of Primary Residence (PPR) and the parent with fewer overnights will be the Parent of Alternate Residence (PAR). The primary importance of this distinction is that the PPR has greater weight in jointly made decisions. It follows logically that the parent with whom the children spend more time would be in a position to provide more data and therefore have his/her input given somewhat more weight. Regardless of your custody arrangement, if your child is injured while at your spouse’s residence, your spouse has the authority (and obligation!) to take immediate action to protect your child, without delaying to locate and consult you. This is generally the case for emergency situations. Your spouse is responsible for contacting you as soon as possible, once your child is out of imminent harm. Once the crisis has been attended to by the parent who was present, both parents participate in further decisions, such as course of treatment, managing missed school time, etc. Joint legal custody is not about impeding either parent so they cannot respond effectively when urgent action is required. 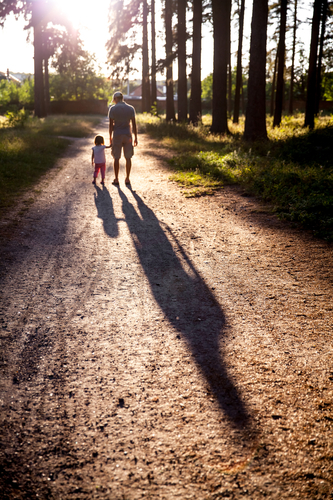 Joint legal custody is to enable both parents to be significantly engaged so their children benefit from the collective wisdom and guidance of both parents. Most parents today want to be involved in the lives of their children, and the courts recognize a benefit for children to having both parents actively engaged in their lives. Often, before a divorce begins, one parent is acting as a primary care giver and one parent works and supports the family monetarily. However, in many divorce cases, the less involved parent embraces the opportunity to develop his/her role and become more engaged with the children. This is usually of benefit to the other parent, who now has a more supportive parenting partner, and to the children, who gain a more present, connected parent. Often, joint residential custody depends on a wide variety of factors, many of which are practical. Needs of the children, work schedules of parents, and financial and logistical reality all are considered. For example, some parents agree that their child is calmer and more focused if he is in the same residence during the school week. Parents who work overnight shifts or travel frequently for work need to develop a parenting schedule that accommodates this, making cooperation with the co-parent integral to a successful custody arrangement. The options are as diverse and creative as the people developing them. These are just a few of many options, and every family can come up with a schedule that works best for them. What is critical is providing stability for your child and making sure the schedule is sensitive to their needs. A realistic assessment of each of your work situations and time limitations is essential in developing a healthy parenting plan. Well meaning parents may promise more parenting time than they can currently provide. This sets them and their children up for failure. It is better to promise your children less time and deliver it consistently than to over-promise and subject your children to anxiety, disappointment, and even feelings of fear, abandonment and unworthiness, if you are unable to keep your commitment to them. All children, but particularly those going through the transition of living in a home without both parents, need the stability of a consistent schedule. More than ever, they need to trust in and rely on you being there (literally and in person) when they are expecting you. Children may feel anxiety about a schedule that is new or complicated. Creating a kid-friendly calendar that precisely (and colorfully) illustrates the month’s schedule, and then hanging a copy of the calendar in both residences, can help reassure your children. It provides a visual reminder of when they will see each of you and affirms that they are in the hands of grown ups who have cooperated and thought things through. Both of these abstract ideas are communicated through a simple monthly calendar hung at their eye level and for their benefit. It can serve as a tool to help them self-soothe and self-care. Phone contact (including Facetime, texting, or whatever your children prefer) with the non-custodial parent can also be useful so that children can have the reassurance of their connection to both of you even when one of you is not there. A simple imperative: “Let’s call mom to say goodnight” can comfort your children — not only by helping them bridge the distance by hearing her voice, but by knowing they have your approval and support in doing so. The more each of you supports your children’s connection to the other parent, the safer and more stable your children will be. Gone are the days when a parent “lost” their children. With the complicated lives and extracurricular involvements of our children, it’s all hands on deck all the time! Most parents want to be present for as many school and after school activities as possible, and this means even when you live in another residence, you see your children more days than not. Properly crafted joint custody agreements benefit parents and children alike. They promote effective parenting schedules that balance flexibility with structure. To learn more about how mediation can help you resolve custody issues, click here and learn about mediation, joint custody agreements, and how this all works.